After World War II and for a generation after, the Philippines had so many small and short-legged liners. 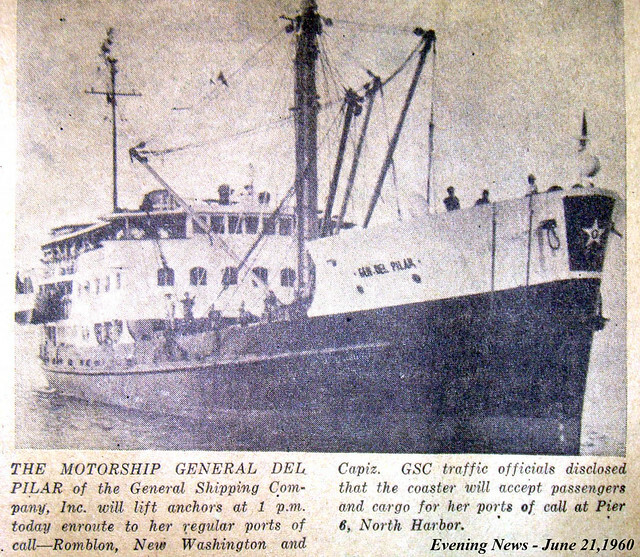 This was dictated by the situation that when the United States replaced our merchant fleet that was destroyed in World War II as was their promise (since they requisitioned our passenger ships then and the others were ordered destroyed to prevent falling into enemy hands), the replacement they gave were mainly small ships that were not even ferries in the first place. Because of that we had very few big liners in the first two decades after the war. The bulk of our liner fleet then consisted of the small ex-”FS” cargo ships of World War II and the many and even smaller ex-”F” cargo ships, many of which were lengthened like the ex-”FS” ships to increase passenger and cargo capacity. Aside from those two types we also had a few ex-”Y” ships, former tankers which were a little smaller than but related to the ex-”FS” ships plus some “liners” converted from minesweepers and PT boats (can you imagine that?). Conversion to ferries of those were the shipping thing after the war much like the conversion of former Army jeeps of the US Army into the “jeepneys” which became a Filipino thing. The term “liners” here is liberally used to describe the multi-day ships then which had more or less definite schedules for departures of arrivals (they were never very prompt then for various reason but they have published estimated times of departures and arrivals). 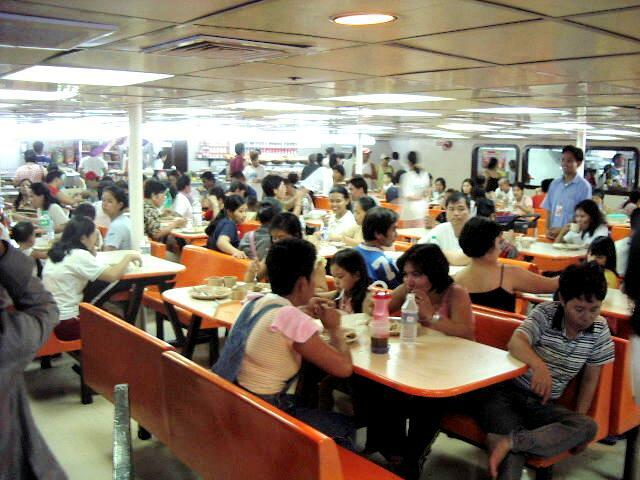 In general, being small they are of no match in terms of accommodations, comfort and amenities to the liners of the past two or three decades and almost all of them did not possess air-conditioning and some are practically single-class ships and just divided into upper deck and lower deck. 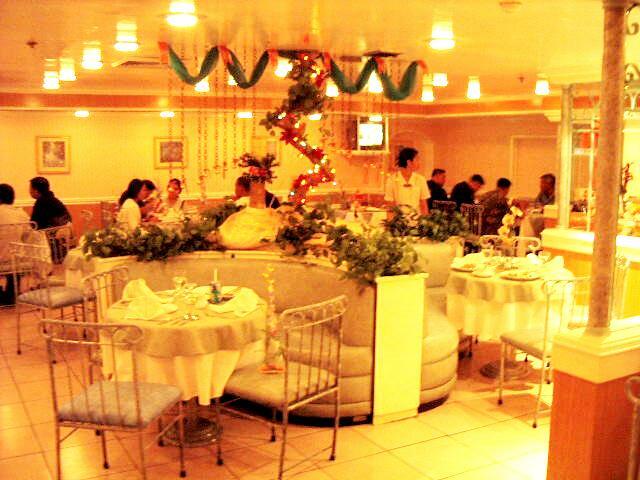 Thus, they were really different from the luxury liners we take for granted now. Being small and doing long routes, the small liners had many intermediate ports of call and there were several reasons for that. One is more ports of call means more passengers and cargo and during that time the country’s population was just a fifth of today’s. Another reason is a lot of localities and islands need connections to the national center which is Manila when during that time our road system was still primitive. And another reason is these ships when built were never meant to carry about three hundred passengers and that meant food, water and other provisions can run out and so the ship must be replenished along the way especially since refrigeration of the ships was limited. This was the time when a rule was instituted that passengers must come to port four hours before departure time (and then suffer more wait if the cargo handling is not yet finished – there are important shippers who with one call can make the ship wait for his last-minute cargo). A reason for that rule is the need to make a head count of passengers and add some figure as allowance and from that calculate the provisions that must be carried by the ship. There was even a running joke that the chandler (the supplier) will only then order how many hogs and chicken must be slaughtered. Not an ex-“FS” ship but of the same size. Credits to The Philippines Herald and Gorio Belen. A characteristic these small liners is the paucity of refrigeration. If there is such the capacity was not really meant for the number of passengers already being carried as a passenger-cargo ship because the ship was just a freight ship during the war with a limited number of crew. As such ice chests had to be employed so that the loaded food provisions will not spoil. But then the ship was not really big for all the supplies needed and revenue cargo is the priority in the holds and in the other cargo areas. Water is an important provision that must also be considered since not only the drinking needs of the passengers must be taken into account. The longest single legs of these ships were from Manila to Cebu, Manila to Tacloban and Manila to Dumaguete, all of which were just short of 400 nautical miles. With a speed averaging 10 knots that meant a travel time of over one-and-a-half days which means five meals have to be served to the passengers. That transit time does not even include additional time in dodging bad weather and in hiding in coves and letting the storm pass if it is strong. But from Cebu, Tacloban or Dumaguete, these liners are still bound for Northern Mindanao or Southern Mindanao and if the final destination is Davao, it is not even half of the way yet. In fuel, however, it might not have been that much of a concern for these ships were capable of crossing long distances in the Pacific Ocean during the war (but with refueling at sea of course). A former minesweepers. Still on the way to Surigao and Davao before the accident. Credits to The Philippines Herald and Gorio Belen. One advantage of being short-legged is the vessels have to call on a lot of ports along their routes. So in that time a lot of small and minor ports are being served and have connections to Manila, the national port. But maybe one had not heard now of Pulanduta port or Gigantes, Looc, Ibajay, Sangi, Anakan, Victoria, Nato, Angas, Tandoc, Mercedes, Larap, Bacuit, Araceli, Caruray, Casiguran, Carangian, Cabalian, Calubian, Kabasalan, Kolambugan, Sipalay,et cetera, when before they had connections to Manila. Aside from those ports mentioned, the liners then will also drop anchors in the various Mindoro ports, in several Panay ports, a few ports in Romblon province , in Marinduque ports, in Masbate ports too on the way to ports in the east or ports farther down south including ports of Mindanao, the so-called “Land of Promise” then to entice people to move there (but it was disaster for the natives and the Muslims as they lost their ancestral lands). In the longest route to Davao these small liners will pass by Cebu, Tagbilaran, Dumaguete and Zamboanga ports before heading to Celebes Sea for Cotabato, Dadiangas or Davao. These might even drop by Iligan, Ozamis or Pulauan first. Using the eastern seaboard of Mindanao the liner could have already dropped anchor in Masbate, Catbalogan, Tacloban, Surigao and maybe even Mati or Bislig. 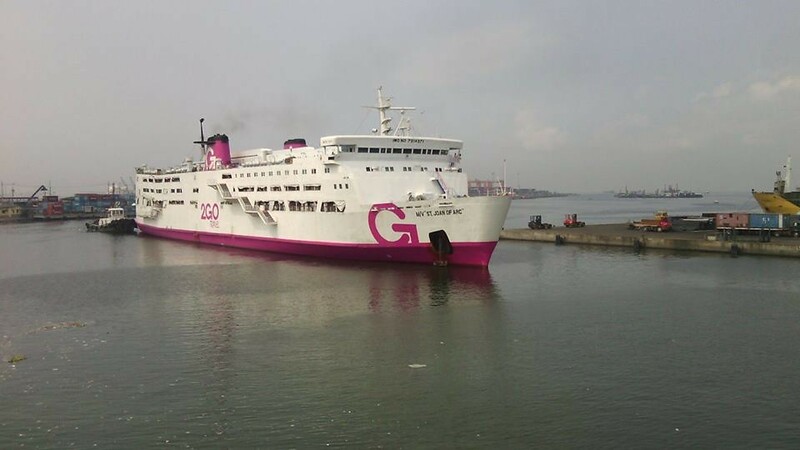 Some will pass by Iloilo or Pulupandan ports and Cagayan de Misamis or Iligan ports before going to Southern Mindanao while still passing through some other ports along the way. That was one reason why Surigao was a very important port as it was a critical stop-over then (the next leg if Mati is still a long way to go and especially if it is direct Davao). When to think Surigao was very far from the size of Zamboanga City. 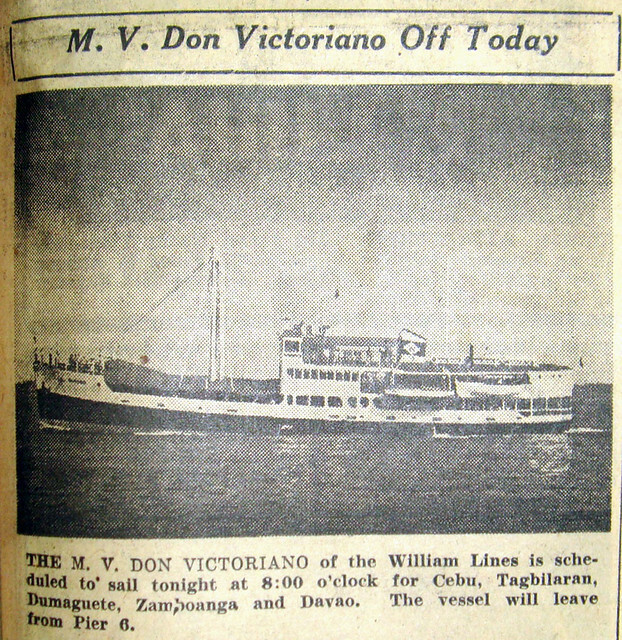 That city also functioned as a critical stop-over like Dumaguete. In the longest route then to Davao the most number of interports called before Davao in a route was ten. 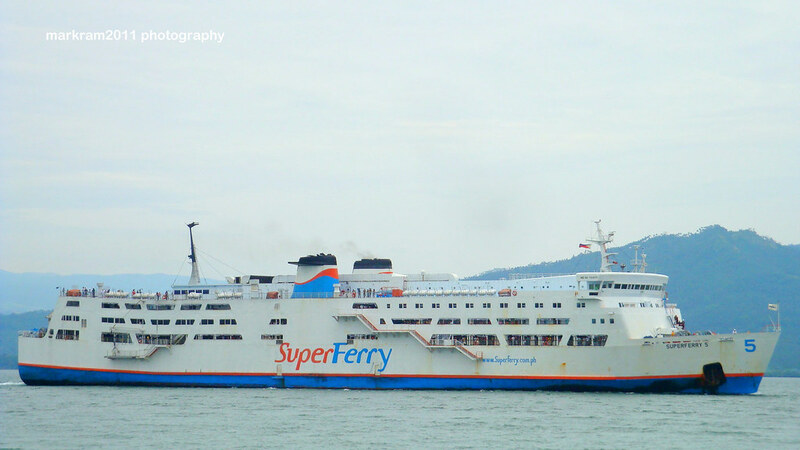 It will then take over a week before the liner reach Davao and one week was the usual transit time to Davao. If one had the inclination these long voyages with many stop-overs also afford “free tourism” since the liner will be spending many hours on the intermediate port because of the slow cargo handling then and there will be time to roam the port city (that was what my late father used to do then). The stops then were really long compared to now as the cargo was not yet containerized and only a single boom handles all the loading and unloading aside of course from the backs of the porters. On the other hand for those prone to seasickness these long voyages are simply torture especially if during the monsoons when the weather is acting up. Summer travel doesn’t afford relief, however, as there is no air-conditioning on board, in the main. As can be gleaned from the photo there is no air-conditioned section. An ex-“FS” ship. Credits to Gorio Belen and the newspaper. In those days the position of the Purser was important for he decides what supplies must be purchased along the way and by how much and he has the authority how much will be charged for the cargo loaded along the way. This is the reason why this position is filled by trusted men of the shipping owner. Nowadays, liners with their available big cargo space including refrigerated container vans and freezers plus big pantries is just basically loaded now in Manila and Cebu and if there is a local purchase then it must probably just fish or some vegetables which are cheaper than in the provinces than Manila or Cebu. With strong communication, too, now the tendency is to centralize everything unlike before (there is now what is called as the “commissary”) and so the Purser of the liner, if it still exist is no longer as important as before. There were really a lot of these small and short-legged ferries then. The biggest reason is when there were no container ships yet these passenger-cargo ships were the main carriers of cargo then, too. So, all in all, some 60 converted ex-”FS” ships sailed our seas and approximately the same number of ex-”F” ships were also sailing. Plus there maybe two dozen small ships of the other types as liners too. So the small liners of the past might be some 140 ships in total or maybe the number will even reach 150 liners. Some of those, however, were primarily used only in the regional routes. But isn’t that number amazing? But 25 years or a generation after these small liners came and dominated the local waters the fast cruiser liners began arriving in force and it was a paradigm-changing arrival. The main selling point of these fast cruiser liners was their speed. 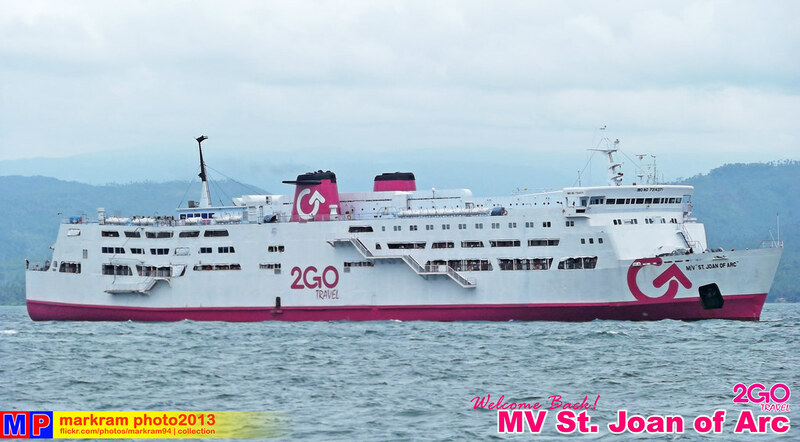 To maximize that selling point and the utilization of the ships that meant reducing travel time to Davao to three days which means a lot of interports had to be stricken off from the routes. Being bigger too that meant the small and shallow ports (and most of which still featured wooden wharves) can no longer be served by them. And so these small ports along the way lost their connection to Manila like the ports I listed earlier which people might no longer know now but had connections to Manila before when the liners were still small and short-legged. A fast cruiser liner but the interports are not shortened yet. Credits to Evening News and Gorio Belen. And then in less than a decade’s time after the fast cruiser liners began arriving another paradigm-changing shift happened in local shipping when the first local container ships appeared in our waters. These container ships have a faster turn-around time than the small and short-legged liners because like the fast cruiser liners these just called on a few interports and sometimes there is even none. With the safety and security offered by the container vans and faster cargo handling soon the death knell to the old small and short-legged liners was sounded and in a few years they were practically gone from our waters. The first container ship in local waters. Credits to Times Journal and Gorio Belen. But if there was a sector that lost with all these advances in speed and size it has to be the small and shallow ports along the way which lost their Manila connection. Some retained their Manila connection for a time but declined in importance like Romblon, Masbate, Catbalogan, Tacloban, Surigao, Tagbilaran and Pulupandan. Those that lost their Manila connection just look and wave at the ships passing their place. As replacement, regional and sub-regional ports had to be developed like Batangas, Lucena, Pilar, Matnog and later the intermodal system linking the islands had to develop, too. But as a whole our number of regularly-scheduled ships dropped in number because the ships got bigger and the faster ships had more total voyages in a year. Actually, even the first generation container ships were bigger than the small and short-legged liners. Now their equivalent in size are just the bigger among our intermodal short-distance ferry-ROROs which connect our near islands and is the carrier of the intermodal trucks and buses like those which cross from Batangas to Mindoro, those which cross from Mindoro to Panay, those which link the eastern seaboard of the country, those which link Bicol, Masbate and Cebu and those which link the different Visayan islands, etc. Now only a few will remember our small and short-legged liners which dominated our seas in the first 25 years or so after the end of World War II when our merchant fleet was born again. None of it exists now even as a museum piece.